“Go Away Home” by Carol Bodensteiner is a beautiful book about a family in Iowa in 1913. Despite drama and tragedy they remain strong and supportive of each other. Young Liddie, the main character wants to move to the nearby town to train as a seamstress. Her character is like one of Jane Austin’s best (Liddie in one scene of the book actually does read Austin): naïve, innocent but also ambitious and good hearted. Her sister Amelia falls pregnant out of wedlock and her father gets seriously injured in an accident and suffers from concussion, leaving the family with a few problems to resolve. 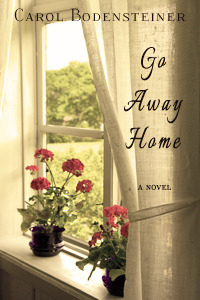 Go Away Home is available on Amazon in paperback http://amzn.to/1kUiKxx and ebook http://amzn.to/1qr3YhB formats. Growing Up Country: Memories of an Iowa Farm Girl is available on Amazon in paperback http://amzn.to/1qsIv8b and ebookhttp://amzn.to/1m5hz9g formats. I loved this book. 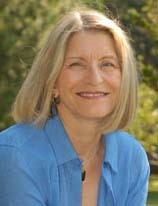 I’m glad you featured Carol and her novel. Loved this book. And the author. Thank you for featuring her.